Man is not defined by work alone and this even applies to the Germans although enthusiasm for work and duty are said to be typical characteristics of German workers. Even so, for the Germans,their private life and leisure time are very important as they provide a period for relaxation to make up for the challenges faced on a daily basis in their professional lives. Even during working hours, the German worker does not have to forego the opportunity to relax. The family is top priority in the interests of the Germans but is usually limited to the immediate family. 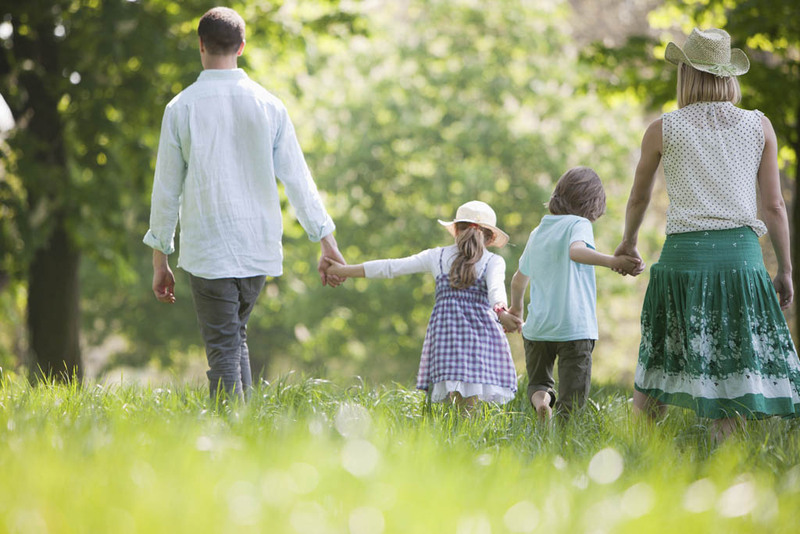 In this country, the family unitconsists of a small circle which includes their spouse, children, parents and in-laws. In addition, friends are quite likely to play an important role as the extended family, especially as the natural extended family are often scattered all over the country. It makes sense therefore to take advantage of any free time with hobbies, excursions, sporting activities or barbecues at home. Despite being related to each other, members of the family still remain individuals, so it is often the case that in addition to their common circle of friends, men and women also have individual friendships, and the children may also be inclined to go their own way. Another cliché is fully justified: The German is a club man. He is able to organise himself so as to spend his spare time meeting up with his peers to pursue hobbies and interests; be it playing a variety of sports – from table tennis to the latest craze, or attending model clubs, joining in social activities or joint pas times. Passive sport is also popular: for example, watching football and Formula 1. Public events and public viewings also have a large following, whenever the weather permits. The parks are filled with citizens enjoying a picnic in the open as soon as the sun comes out. A variety of town festivals are held, giving everyone the opportunity to eat and drink together to celebrate. When it's rainy and cold, there is a boom in indoor sports, but there are also contemplative activities like yoga, with large saunas and thermal baths inviting people to relax. The year-round supply of fresh and organic foods define the expectations of the German quality of life. Incidentally, it is not just in their free time that Germans are able to maintain their healthy lifestyle and take advantage of sporting activities. Even during working hours or lunch breaks,there is the opportunity for an hour ofsport. Modern companies take the wishes of their employees into account and provide appropriate benefits: from a discounted fee at the fitness club to time off for the community marathon.